It is a great honour to be selected in the first 6 rounds. Play well REBELS! Make Surrey proud! 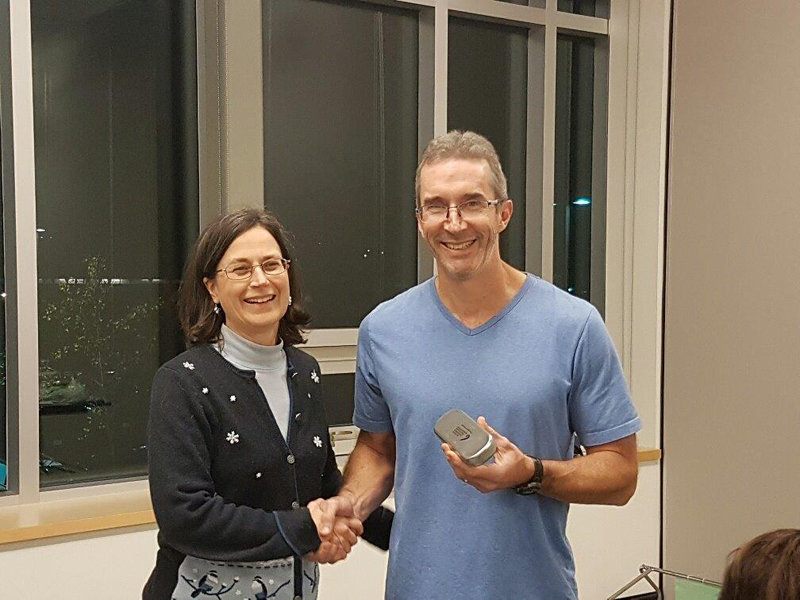 Visit our Facebook Page to see photos from the evening! 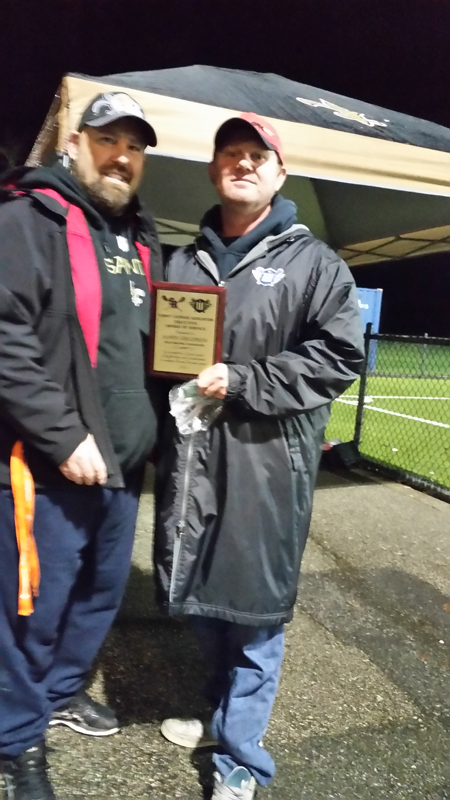 For the list of award recipients for Surrey Warriors Field Lacrosse, click here. Get'er done boys. Make Surrey proud! 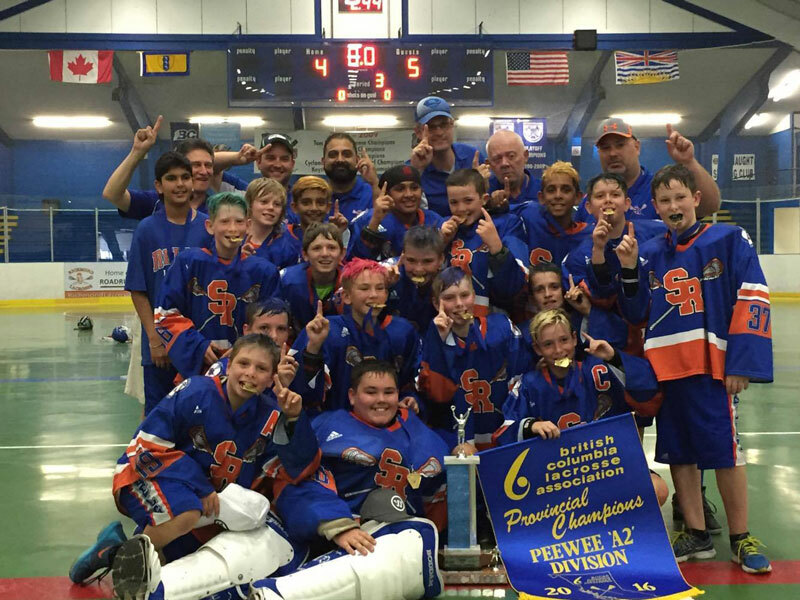 Peewee A2 Rebels Bring Home Gold Medal at 2016 Provincials! 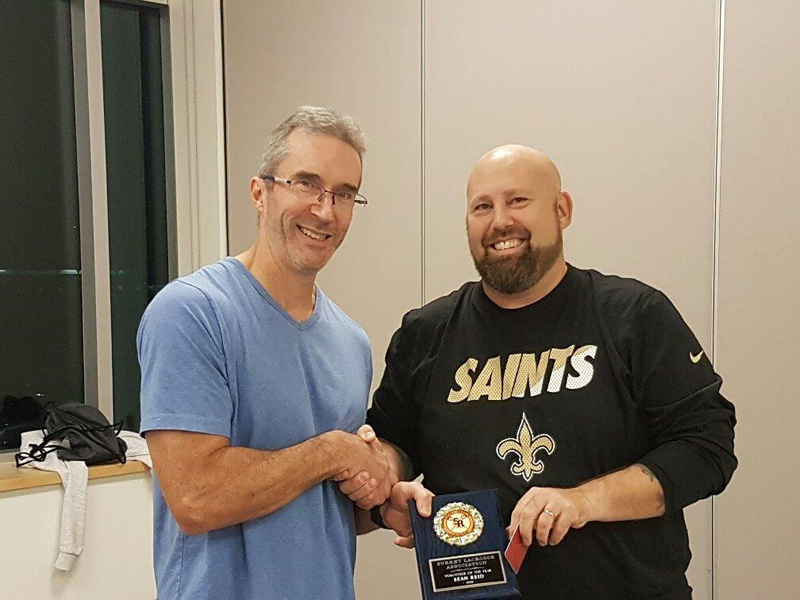 Congratulations to head coach Kevin Aldridge and our Peewee A2 squad, who won the Gold Medal at 2016 Provincial Championships! The lads went 3-1 in the round-robin tournament and ended up beating previously undefeated Saanich 5-4 in the final match to secure the championship. 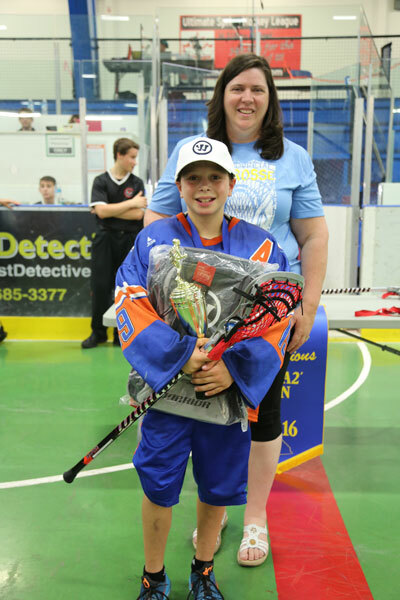 The Provincials were held in Richmond July 22nd-24th. Click on the thumbnails to the right to open the team photo and Dalton's MVP photo. 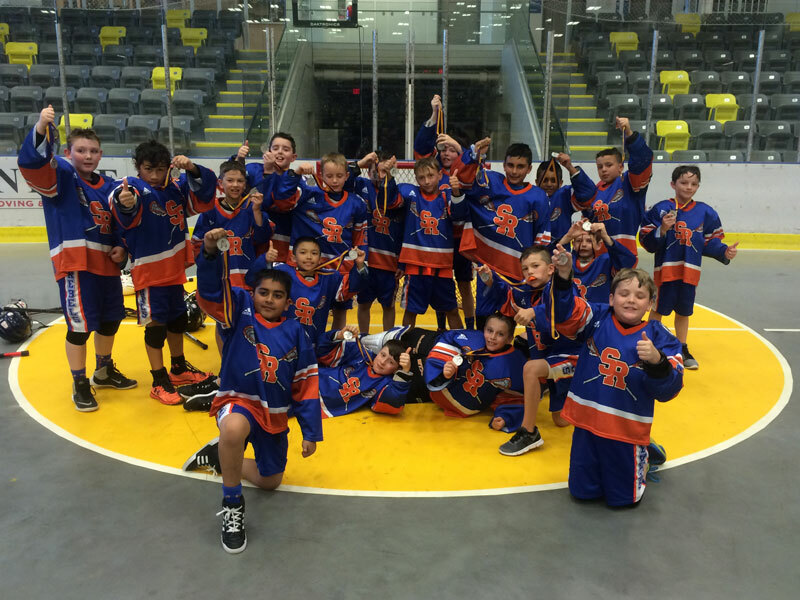 Congratulations to our Novice B Rebels for taking the silver medal in the 2016 Jack Crosby Novice All-Star Tournament July 7-10 in Burnaby. The team shone throughout the tournament but came up short in the Gold Medal game to Victoria. 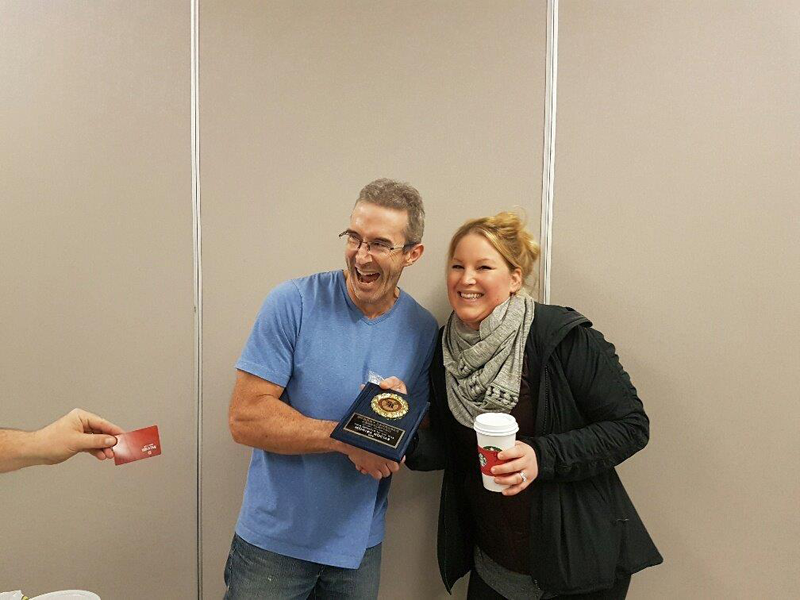 The team was also named Most Sportsmanlike during the weekend event. Click on the thumbnail to open the team photo. 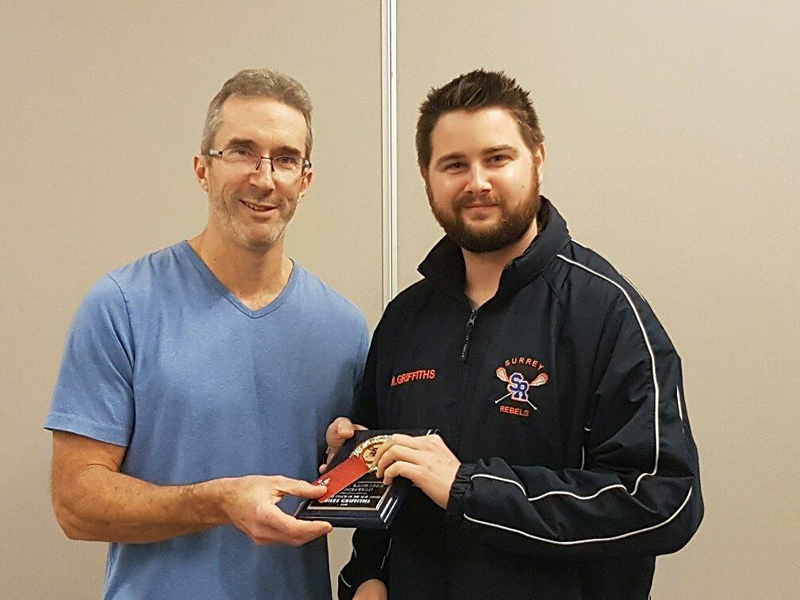 Congratulations to head coach Kevin Aldridge and his Peewee A2 squad and to head coach Ryan Paddon and his Peewee B2 team for making it to the Provincial Championships, to be held July 20-24 in Richmond. The A2 Rebels were the top seed heading into the playoffs and dispatched Port Moody in a sudden death match to get to the big show. The B2 Rebels defeated Port Coquitlam, Coquitlam 1 and Ridge Meadows 1 in the playoffs to punch their ticket to Richmond. Congratulations to head coach Miles Griffiths and his Midget A2 squad for making it to the Provincial Championships, to be held July 6-10 in Coquitlam. 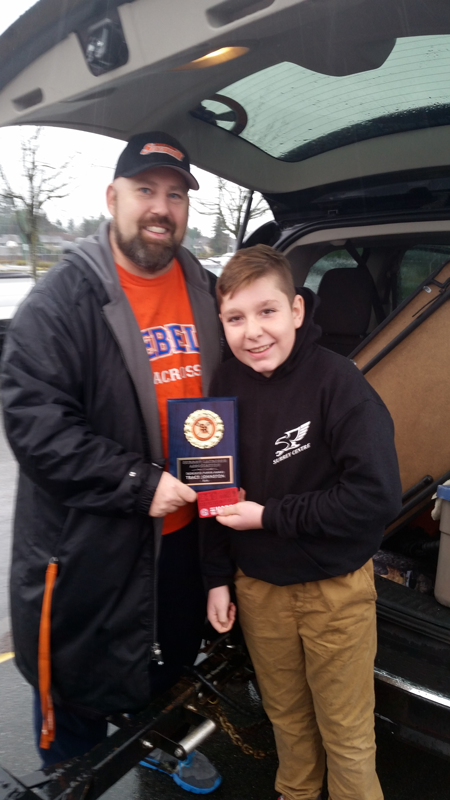 The team started the season in B Division, got tiered up part way through the regular season and never missed a beat - finishing second in the A2 Division and knocking off Delta and Semiahmoo en route to the big event. 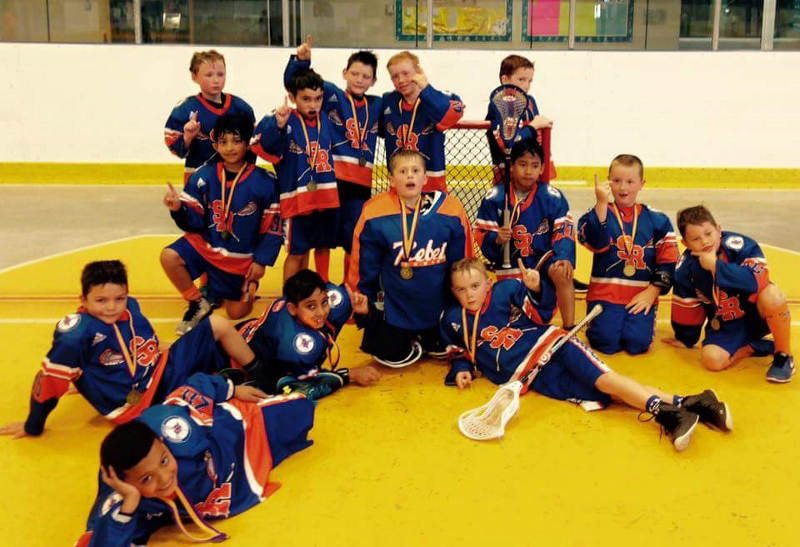 The Rebels Tyke Team #1 went undefeated at the Jean Andre Tournament held June 18-19 in Coquitlam. A Huge congratulations go out to our Novice C team who came away with a silver medal from the Salmon Festival Tournament the same weekend in Richmond after a hard fought gold medal game against a very strong Semiahmoo squad. Well done! Click on the thumbnails to open the team photos. 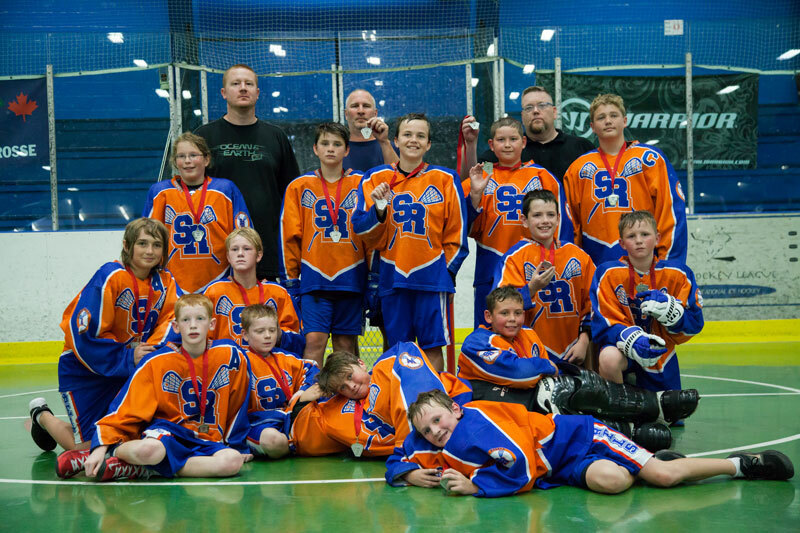 Congratulations to our Peewee B (Orange) Rebels for taking the silver medal in the 2016 Bill McBain Tournament May 21-23 in Kelowna. The team fought hard throughout the tournament but came out on the short end of a thrilling 5-4 triple overtime score favouring the Gold Medal winning Penticton squad. 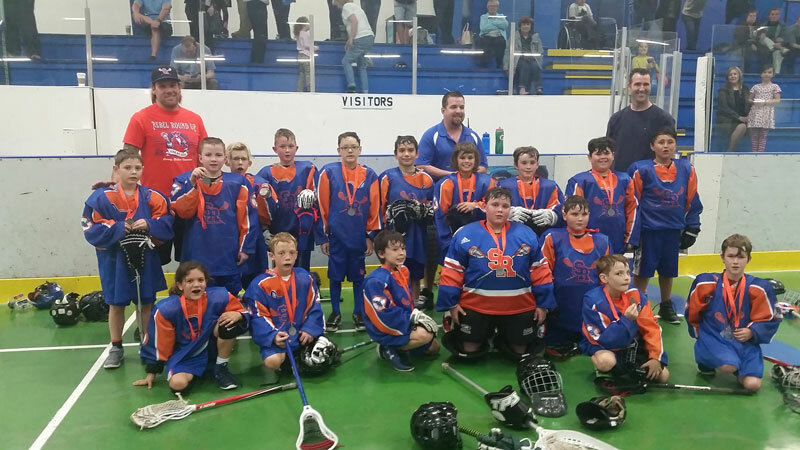 Congratulations to our Novice B squad for bringing home the silver medal in the 2016 Adanac Cup Tournament, held May 12th to 15th in Coquitlam. 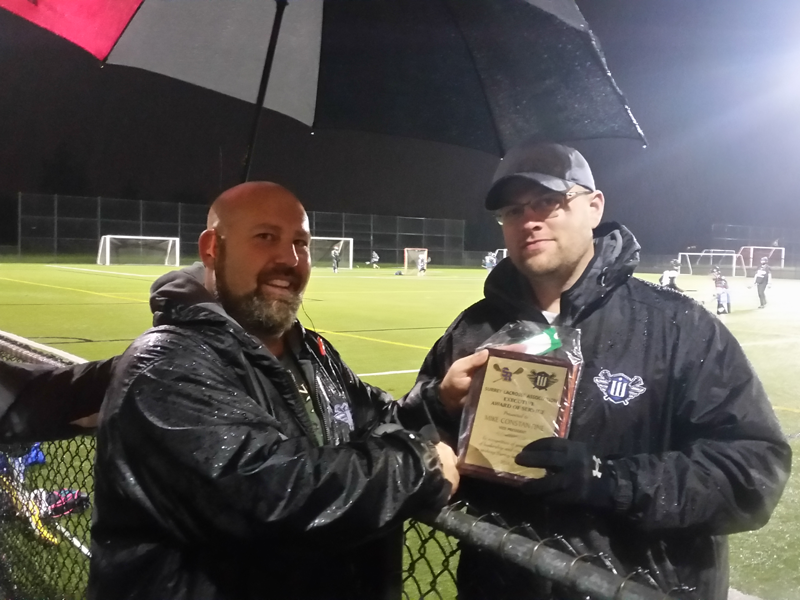 The lads lost 5-4 in overtime to the Gold Medal winning Port Coquitlam squad. It is the third straight season the boys medalled at this event. 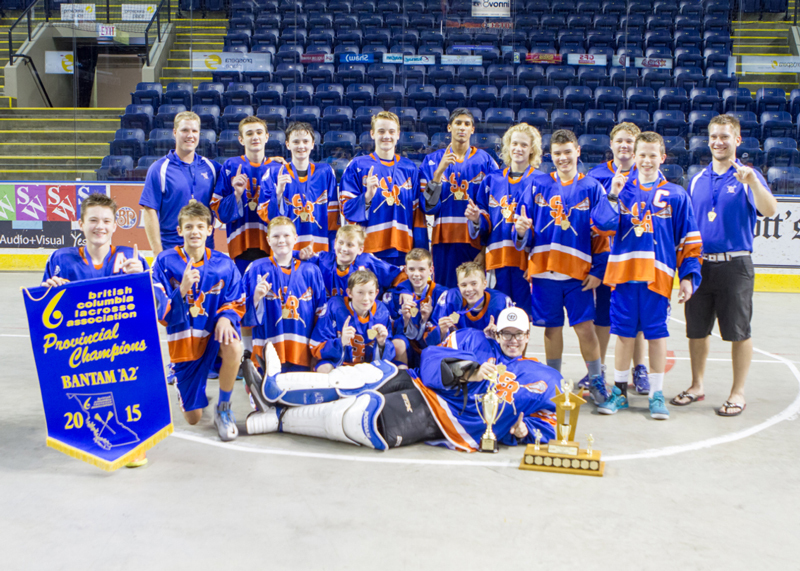 Bantam A2 Rebels Bring Home Gold Medal at 2015 Provincials! 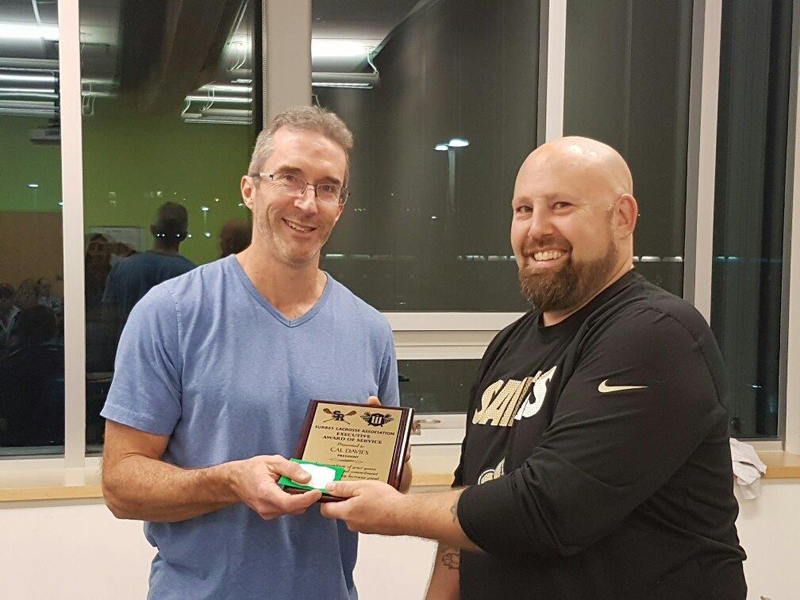 Congratulations to coach Braden Wilkins, assistant coach Trent Evans, and our Bantam A2 squad, who won the Gold Medal at the 2015 Provincial Championships! 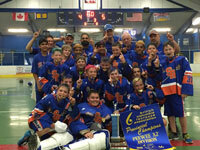 The lads went undefeated in the tournament and ended up beating Victoria-Esquimalt 7-5 in the final match. 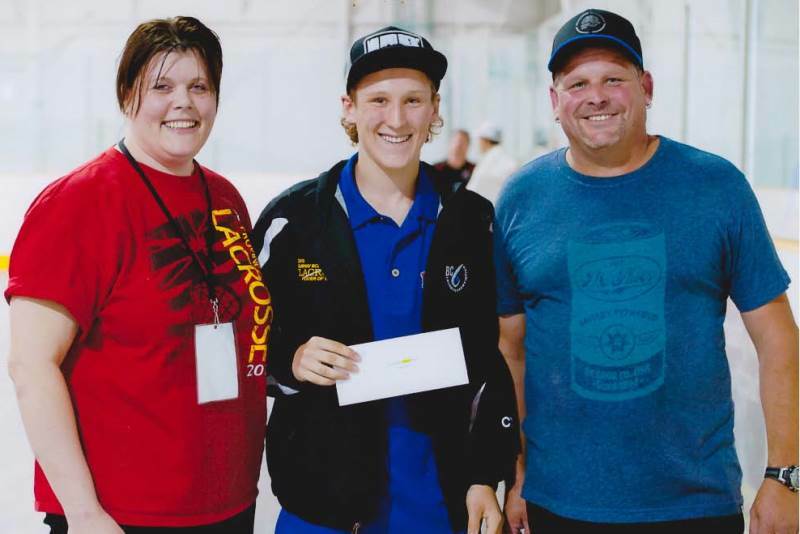 The Provincials were held in Kelowna July 15th-19th. Click on the thumbnail to the right to open the team photo. 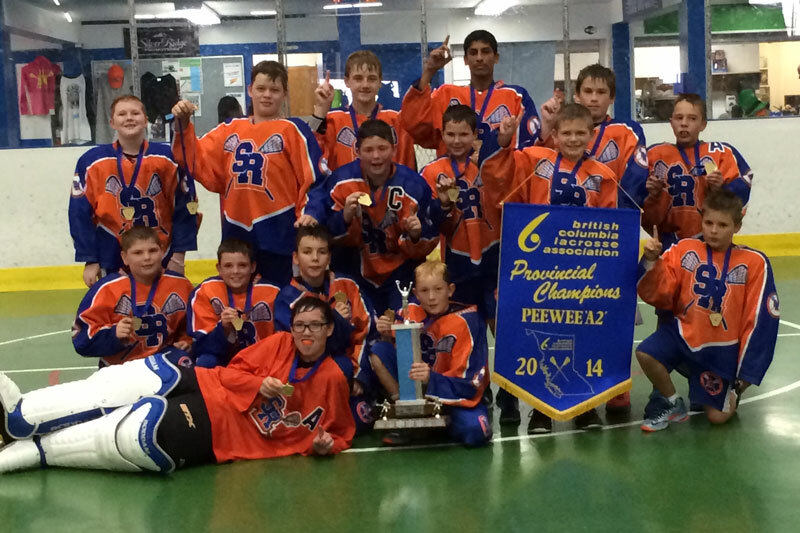 Peewee Rebels Teams Bring Home 2014 Provincial Medals! 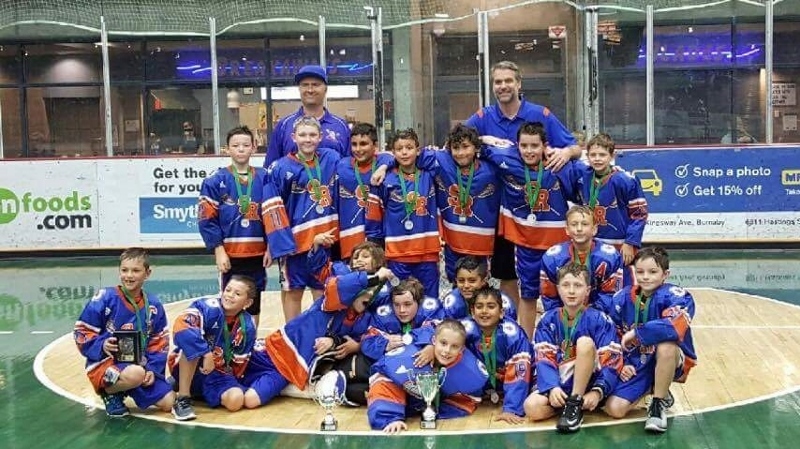 A huge congratulations go out to the Peewee A2 Rebels, coached by Mike Constantine, who won the GOLD MEDAL, and the Peewee B Rebels, coached by Dennis Ewen, who won the SILVER MEDAL at the 2014 Provincial Championships, held July 16-20 in Richmond. Both squads went undefeated until the final game. 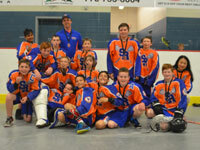 The A2 Rebels defeated the Semiahmoo Rock 11-9 to claim the gold, while the B Rebels fell to the powerhouse Juan de Fuca Whalers 6-4 to take the silver. Both teams had awesome seasons and we are extremely proud of them! Click on the thumbnails to the right to open the team photos. Rebel Named to 2014 Intermediate B All Star Team! Congratulations to Mikey LeMond for being named to the 2014 BCILL B League All Star Team. LeMond joins Jeff Geyer (2008) and Brad Olson (2009) as the only Rebels to take All Star honours in the eight year history of the Surrey Intermediate franchise. 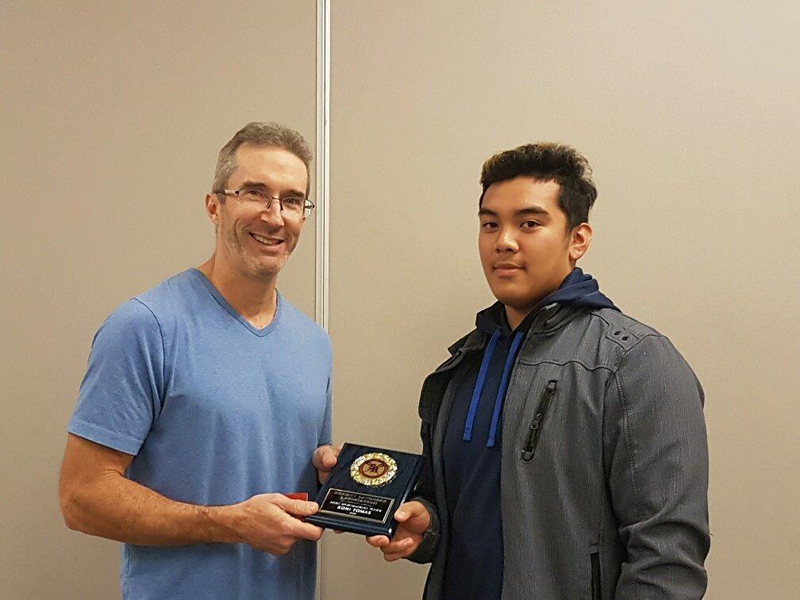 Rebel Named 2013 Midget Player of the Year! 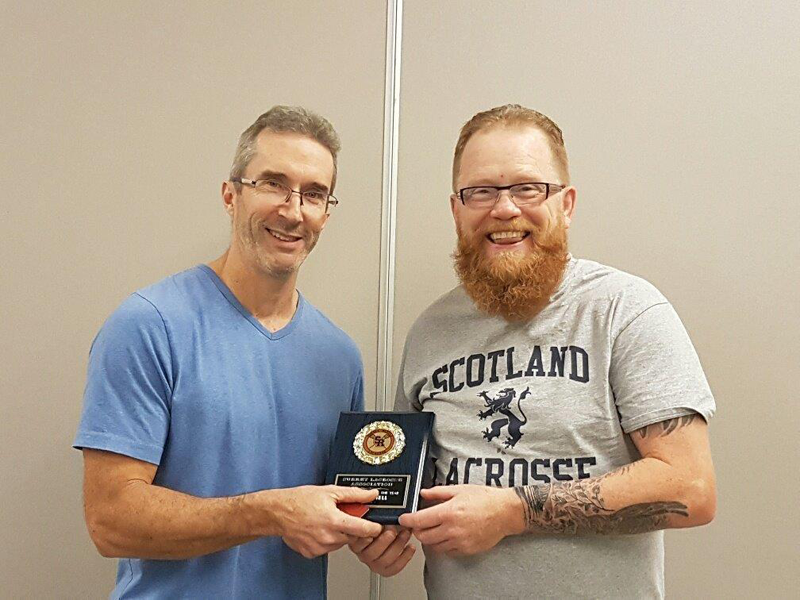 Congratulations to our very own Cody Tracy, for being awarded this year's "Midget Player of the Year" by the BCLA for the 2013 box lacrosse season. 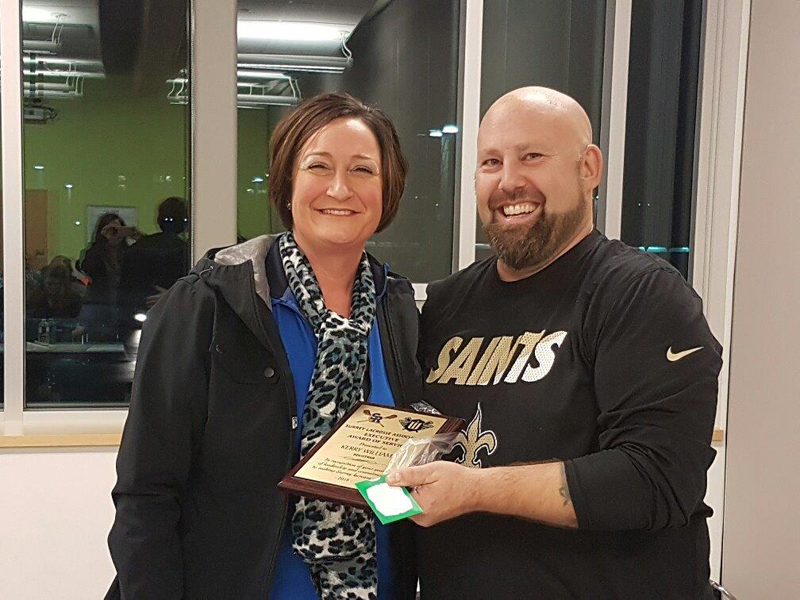 Cody was recognized for all his efforts around the game of lacrosse on/off the floor during the 2013 season. 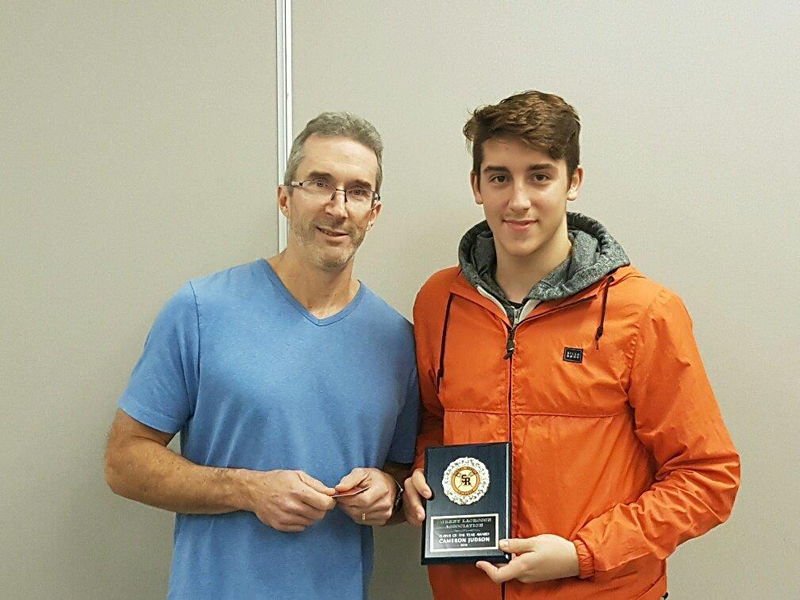 Not only was Cody captain of his Midget A2 squad, but he also spent a great deal of time refereeing, scorekeeping, volunteering, and maintaining an exemplary academic average in his school studies. 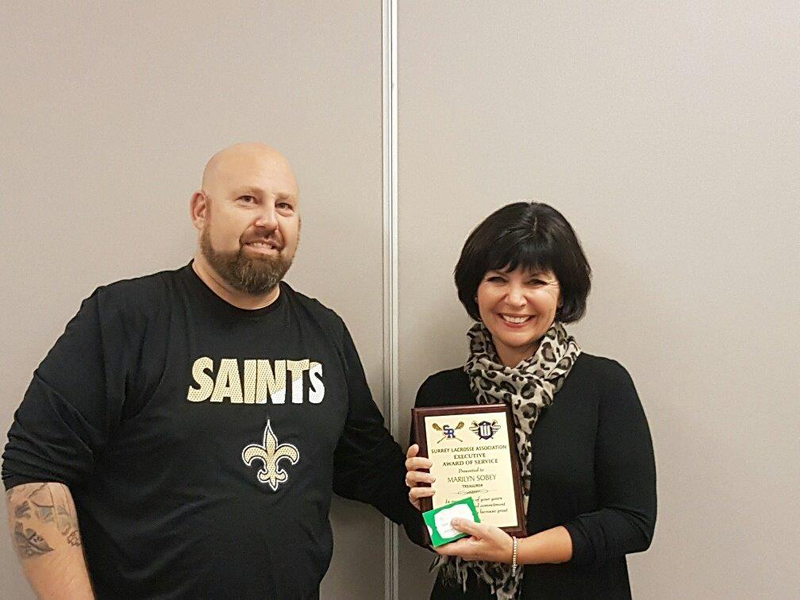 Cody was awarded a $1,000 scholarship towards his schooling, along with a BCLA prize jacket. We are all proud of you, Cody! Well done!! !